Last night we had a confirmed sighting of ZOMBIES! 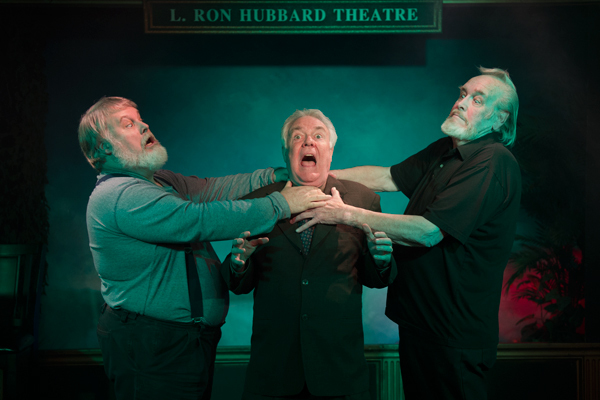 Yes, right here on stage at the L. Ron Hubbard Theatre—zombies performed in the opening night of “Dead Men Kill.” By the look of the photo above, director and narrator, Phil Proctor of Firesign Theater fame, seems to have had his hands—or at least his neck—full of zombies. By all accounts, it was a great performance considering some of the cast came from six feet under. 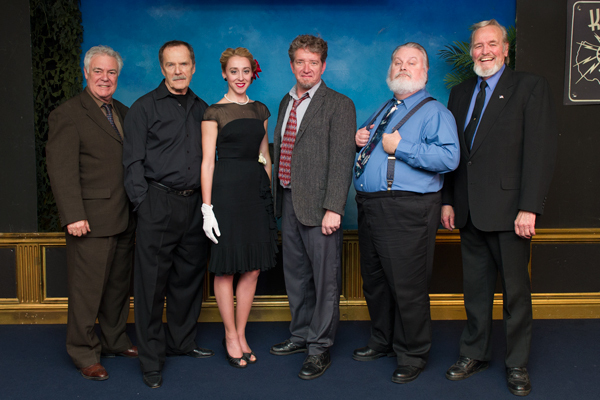 The cast of “Dead Men Kill.” Director and narrator, Phil Proctor, Robert F. Lyons, Lindsay Seim, Tom Ayers, Skip Harris and Bobb Lynes. Joining Phil on stage was Skip Harris and Bobb Lynes (pictured above). Tom Ayersplayed the incorruptible Detective Terry Lane, a cop who thought he had seen it all. Following a trail of death, drugs and blackmail, Tom teams up with a seductive nightclub singer (played by the beautiful Lindsay Seim) who claims to have clues that would help him solve the case. Instead of unearthing the truth, Detective Lane is sealed in a coffin en route to the next zombie murder—namely, his own… Rounding out the cast was Robert F. Lyons who played Dr. Reynolds. Our theatrical performance is based on the story “Dead Men Kill” written in 1934 by L. Ron Hubbard for the popular magazine, Thrilling Detective. 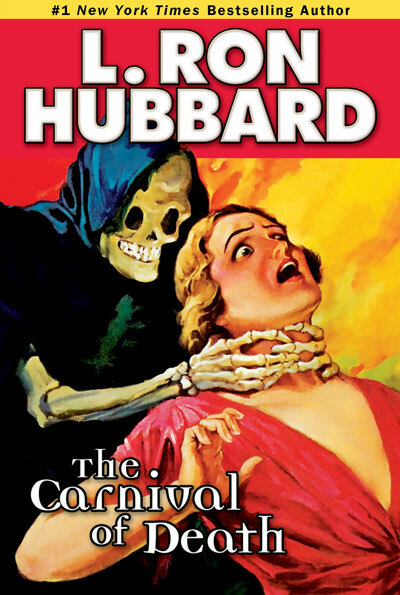 In this sinister story of zombies, one gets a glimpse of the voodoo culture Hubbard encountered during a West Indies odyssey he made two years earlier in 1932. Galaxy Press recently published the book Dead Men Kill which is available in print, ebook and as a multi-cast audiobook complete with music and sound effects. 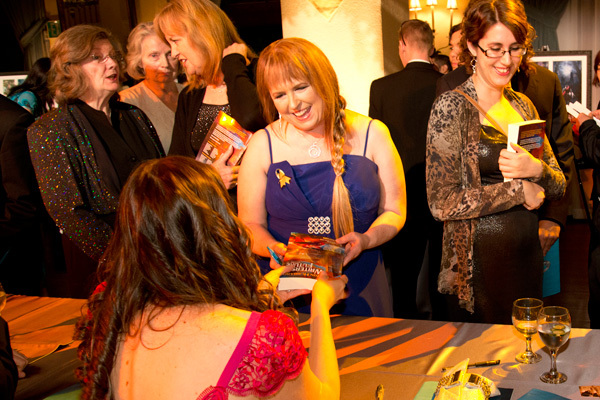 So if you can’t make it to our show here in Los Angeles—don’t miss out—grab the book or audiobook and enjoy. 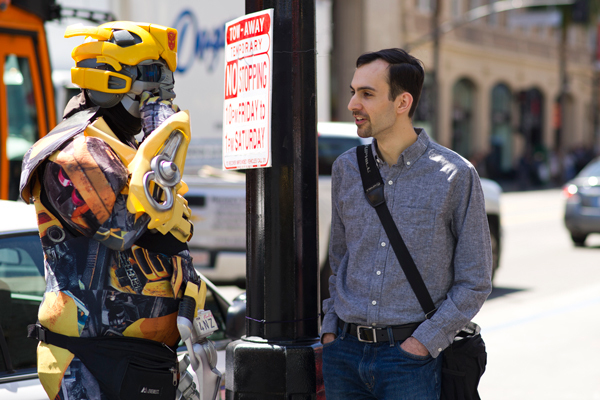 But be warned—this one may give you a bad case of the chills!